Like it or not, every single product you use on a daily basis is slowly getting smart. First it was your cellphone, then it was your TV, then your lights, thermostat, appliances, and now even the mood-enhancing candles around your home—wait, there’s a smart candle now too?! The LuDela is another product in a long list of smart devices that consumers really didn’t ask for. But given there are entire stores dedicated to selling candles, there are undoubtedly enough interested parties out there to help make this thing a success. Using a technology its creators call Wi-Fire, which we’re just going to assume is regular old Wi-fi with a cute name, every LuDela candle in your home can be connected and controlled from a smartphone, not unlike Philips’ Hue smart lightning system. But instead of simulating a candle using something like a flickering LED, the LuDela uses actual fire, for genuine ambiance. Inside the larger candle shell you’ll find smaller wax refills that burn away with a real flame that can be remotely ignited and extinguished. 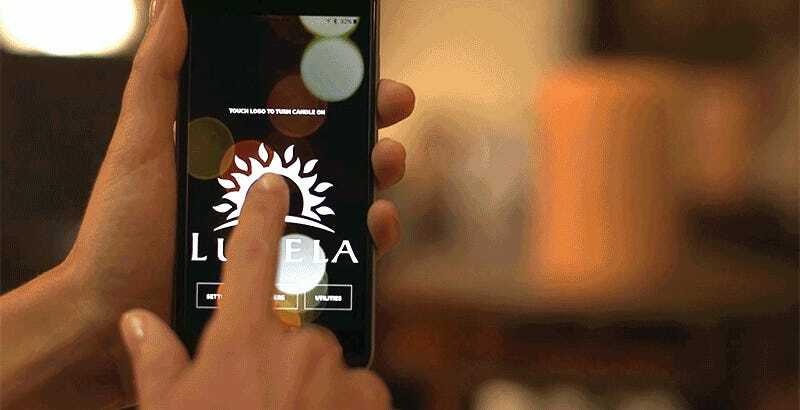 With a simple screen tap inside the free accompanying app, users can activate all or some of the LuDela candles in their home without getting off the couch, or climbing out of the bathtub. Each one runs on a battery so there are no wires to deal with, and since power is only needed to momentarily ignite a wick, the candle’s can go for a long time before the app lets you know which ones need a charge. Besides ease of use, and not constantly having to hunt for a lighter, the LuDela candles might also appeal to those who are uneasy about having an open flame in their homes. 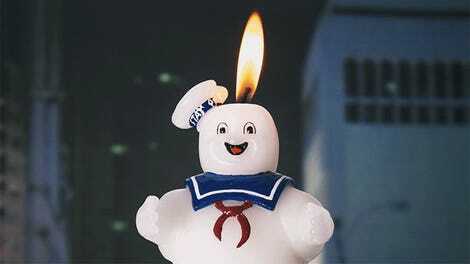 Proximity detectors can be activated to automatically extinguish the flame when people, or pets, get too close to the candles, and the same thing will happen if the candles ever accidentally get knocked over while lit. The LuDela base also ensures that hot candle wax never drips onto your furniture, or poses a burn risk. Pricing might be an issue for some candle fans, though. If you’re used to buying a giant bag of tea candles from Ikea for a few bucks then you might balk at the LuDela’s $99 price tag, which doesn’t include the refills when it ships early next year. However, a discounted refill monthly subscription will be made available that includes scented options to match the seasons, if you’re all about pumpkin spice when September rolls around.